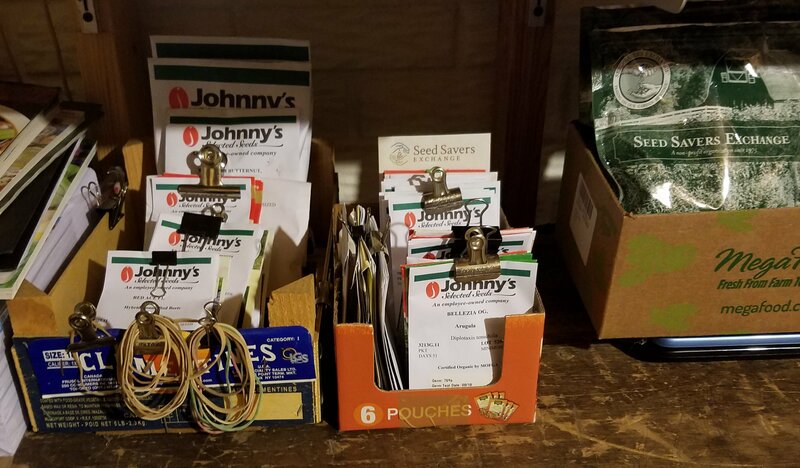 A majority of the garden seeds wait in a corner on the lower level of our home. I cleared a sorting table and next month will plant celery and kale at the first greenhouse shift. There is no immediate need to plan more. The seven garden plots have stands of seed-spent foxtail and last year’s fencing. Clearing the plots will begin after a long period of subzero temperatures, assuming we have one. The first traditional planting is Belgian lettuce on March 2, although last year there was no early lettuce because of frozen ground during a spell of weird weather. The weird weather was related to global warming. A gardener, like a farmer, must adapt. The 2018 vegetable growing season was challenging for farmers I know. However, to a person they responded to the challenges of late start, crop failures, uneven moisture, and other farm-related issues to produce an abundant harvest. They meet 2019 with renewed optimism and energy as the new cycle begins with the annual Practical Farmers of Iowa conference Thursday through Saturday in Ames. Experience tells me not to worry about what might be during the upcoming gardening season. To deal with its actuality is sufficient. So much of what may happen this year is beyond our control. It’s best to deal with it as we go. This approach is part of sustaining a life in a turbulent world. This entry was posted in Environment and tagged climate change, environment, Garden, global warming, sustainability, The Climate Reality Project, winter. Bookmark the permalink.